I’ve never been a fan of hip-hop and had never heard of Lecrae Moore before seeing this book. To be honest, I never really gave Christian hip-hop a chance because of the few times I’ve heard secular hip-hop. Don’t like it at all. 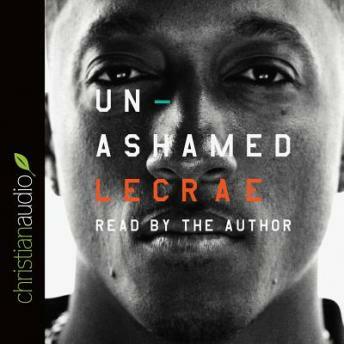 But, I’d be more open to listening to Christian hip-hop after listening to this audiobook. Each chapter began with a sample of one of his songs. Because of the messages in them, I think I may enjoy it. Anyway…Wow! What a great testimony! Lecrae had a tough life and had to grow up way faster than he should have. He finally got the life he wanted, but it was a long hard battle, sometimes he hindered himself. Whether you like Christian hip hop or not, this is an interesting book. It’s short, but his story is huge! And even if I never become a fan of Christian hip-hop, I am a fan of Lecrae Moore! Amazing read!!! I love Lecrae's music, and to hear his story and the things he struggled with really had an impact on me. It's very relatable to anyone who has every struggled with their faith due and the path that God has set for you. I recommend this book to everybody. Awesome book! It's very thought provoking and addresses the challenges of living through a biblical worldview. Lecrae did a great job telling his story, lots of passion in his voice! Amazing book about how God uses broken people! Absolutely incredible book! Better than I expected it to be.